Award winning singer-songwriter, Akiha Uryu, grew up in Fukuoka and Tokyo Japan. She began composing songs as a child, and at the age of 15 was awarded second prize at a major label audition. 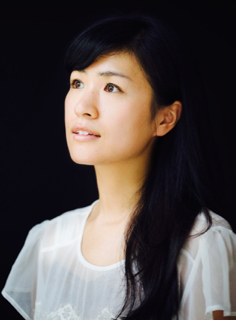 An accomplished pianist, Akiha incorporates piano into most of her songs, which bring together elements of pop, jazz, lyrical and dramatic music. She has written many works for famous theatrical plays, including “Ningen Fusha”, which was performed at Tokyo’s Parco Theatre in 2000, and “Tokyo Tower”, which was performed by some of Japan’s leading actors at Tokyo’s Ginga Theatre in 2007. She has also written music for television and radio commercials, for clients including Keio Corporation, Tokyo Metro and Menard Cosmetics. In 2011, she composed a piece for Platinum Guild International that was recognized as Japan’s best radio commercial by All Japan Radio & Television Commercial Confederation and she was personally awarded as the musician for the commercial. Akiha moved to Tokyo in 2002 to attend Waseda University and focus on creating music. The first of her five albums was released in 2004 on an independent label. In Japan, she regularly held concerts in Tokyo, Kyoto, Osaka and Fukuoka. Akiha currently resides in New York City. She draws inspiration from the city’s unique mix of cultures to develop her creative spirit in new directions. She is passionate about food and traveling.